As a tutor my goal has always been to have a positive impact on the lives of the students with whom I work. No magic wand will put the power of learning solely in my hands, but students that come to me prepared to work will find me a valuable resource and an enthusiastic ally. 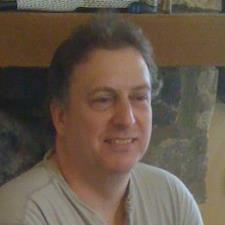 I have been working in the Austin area as a tutor for over 20 years, and working with Wyzant since 2008. I majored in math at UT-Austin, taking over 50 credit hours in math alone, as well as 50+ combined credit hours in physics, chemistry, astronomy, and statistics. I began tutoring at Austin Community College while still in school in 1992, and also worked in the math department at UT as a grader, as part of my work-study program. Even as a grader I was never content to just leave a paper with checks and exes on it. I always tried to determine, and highlight, where students' work got off track, as well as acknowledge exemplary work. My general hours of availability are 11 a.m. to 8:30 p.m. M, W, and Th and 11 a.m. to 5 p.m. Sat and Sun. For in-person tutoring, I work strictly out of my home in Cedar Park, using a dedicated room as a one-student classroom. However, I am also available for online tutoring. My home room is set up with a whiteboard, a large desk for students, and other teaching aids for myself, as well as online wi-fi access for students who may need it for their assignments. Students must bring their own laptop, tablet, or smart phone, however. Philosophy-wise, I don't think the importance of a good education can be overemphasized. Not everything a student learns in school will be something they use on a daily basis, but the more one knows, the more opportunities for success one possesses. Academia is not the end-all to knowledge--ethics and experience rank as highly--but some doors only academia can open. The positive impact I hope to have with students includes helping them actualize their potential that they may fully enjoy the opportunities that come from investing one's energies into activities that enrich the mind. 24-HOUR CANCELLATION POLICY: A cancellation fee of $30 per hour reserved will be charged on all same-day cancellations and no-shows. Longer term students with a proven record of reliability are often given an opportunity to have this fee converted to credit. Looking forward to meeting you, and to being a part of your academic success! Rate details: Group rates available. The key to first-year statistics is keeping the big picture in mind, both figuratively and literally. From describing distributions to calculating probabilities, the descriptions and formulas used in statistics are strongly geometrically-based, and it is an understanding of this geometric foundation that can guide students through multi-step calculations, without losing sight of the end goal. Graphs are a great tool for visualizing probabilities studied in statistics, and many teachers require students to include graphs in their work. It is my experience that until a student can consistently generate the correct graphs, in determining probabilities, they will struggle using the associated formulas, too, but once they understand how to correlate probabilities to their corresponding graphs, they can easily apply statistical formulas correctly, and easily tweak the formulas correctly as they move through strongly-related sections of the course, such as those covering normal distributions, t-distributions, confidence intervals, and hypothesis testing. Using statistical formulas correctly also entails understanding the Central Limit Theorem, arguably the most important topic of the class, and its implications. With this understanding, one can easily work through the interrelated topics listed above. My goal as a statistics tutor is to help students understand the graphical foundations of statistics, correlate graphs to their corresponding formulas, understand the Central Limit Theorem, and understand how many of the topics covered in the course are interrelated, so as to not have to reinvent the wheel, so to speak, as they move from topic to topic. Algebra is not a subject many students get excited about right off the bat. However, I find that students' interest in the subject grows as they find they can master topics they once found merely confusing, and strong algebra skills are an imperative to success in higher level math and science classes, so I always encourage students to do their best, even when it gets a bit tedious. As an algebra tutor my goal is to help students create a mental framework for the various topics they encounter in the class, and to discern between those that are topic specific, such as to linear or quadratic functions, for example, and those that can be applied more generally, such as transformations, and properties of inverse functions. I strongly encourage students to adopt a best practices model for their work, to not work in a minimalist fashion. And, lastly, I encourage students to keep a math journal reflecting the various aspects of topics discussed in the class. The only way to succeed in algebra is to have an ordered understanding of the many topics covered, and getting those topics down in an orderly written form, in their own words, is a great way of building that mental framework. Many of the difficulties students encounter in first-year calculus stem from gaps in their understanding of topics covered in algebra and precalculus. My method for teaching calculus is to relate the new ideas discussed in calculus to topics covered in previous classes. In this manner, any gaps or forgotten knowledge will necessarily be reviewed in the process, too. For students in college or high school AP classes the pace of the course can also be a challenge, but as part of helping students through particular problems, my goal is to help them relate ideas from multiple sections together, and to develop a conceptual understanding of the underlying principles at work including, for example, the graphical foundations of the formulas used in calculus, and how these principles do, and do not, generalize. Having studied advanced calculus, and applying it in upper division physics classes, I can help students develop a deeper understanding of the material, making the formulas more intuitive, easier to remember, and easier to apply correctly. Doing well in general chemistry is largely about knowing how to use the periodic table. However, early on there are other aspects of the class that depend solely on rote memorization, such as the formulas and charges of the common polyatomic ions, and basic formulas for things such as pH and molarity. A little math is involved when it comes to stoichiometry, but generally if a student can keep the big picture in mind, the mathematical steps are pretty simple. As a tutor, I strive to keep these different aspects of the class clear, and to help students keep the underlying picture in mind when working through different types of problems requiring calculations. College and AP chemistry classes will contain more complicated, multi-step problems, often related to energy considerations, but a deeper understanding of the underlying general principles governing a process can help make sense of the ordering of the required steps needed to solve a complicated problem, and as I work through specific exercises with students, I will also emphasize these principles and how they apply. Geometry is one of the classes where I have seen some dramatic turnarounds in student performance. My experience has been that, due to the less formulaic nature of the class students get used to in arithmetic and algebra, they are not always sure what is expected of them in geometry. As a tutor, my goal is to help students understand what is expected of them in, for example, presenting a proof, as well as fill in any gaps in the required algebra they may have forgotten. I will instruct students to focus on the various postulates, theorems, and definitions required for success in geometry. These are the building blocks of proofs, as well as the justifications used for simpler computational type problems. Physics is going to be a challenge for nearly every student the first time through. Ideally, I like to meet with students early in their studies and help them understand what I consider the most important topic for them to master first, vectors. This understanding is crucial to success in the class, but some students may not have the prerequisite math (precalculus), and/or the importance of vectors may be underemphasized by their teachers. Beyond that I like to present strict algorithmic methods students can consistently apply when solving general classes of problems, as for kinematics, Newton's Laws, conservation of momentum, work and energy, and rotational dynamics, etc. Having studied calculus-based general physics, upper-division Newtonian physics, classical electrodynamics, and waves and optics, as well as having tutored high school and college physics for several years, I can help students keep the big picture in mind as they determine which equations, and how to use them, to solve easy or complicated physics problems. Strictly speaking, prealgebra refers to the arithmetic required for success in algebra, such as how to work with positive and negative numbers, how to apply the arithmetic operations (+, -, *, and /) to fractions, properties of exponents, and the correct "order of operations" to apply to expressions containing multiple arithmetic symbols. However, there are other aspects of prealgebra that students will do well to focus on, too: those of mathematical definitions and properties of numbers and number systems, that are used extensively in algebra, such as the commutative and associative properties of addition and multiplication, the distributive property, the sets of: natural, whole, integer, rational, irrational, and real numbers, and many others. As a prealgebra tutor, I don't want to see students get bogged down in this abstract aspect of the class. I want students to be able to use them in a second-nature sort of way. But transitioning from arithmetic to algebra is abstract in nature, and it is imperative, if students are to understand what they are reading in an algebra textbook, or the instructions on a test or homework, that they have a proper understanding of the vocabulary used, and the general properties of numbers needed to solve algebra problems. Furthermore, it is exactly these types of definitions and properties that are most important in a class like geometry, where a student has to justify each step of their work with a definition, postulate, or theorem. Though I help students work through computational problems in prealgebra, I also remind them of the properties and theorems used to justify the steps involved, in the hopes they will be able to apply these definitions and properties in ever more sophisticated ways in their ongoing study of mathematics. Precalculus is a class where many students will start to have some issues, even if they have been doing well in earlier math classes. I suspect this difficulty arises for two main reasons: one is the novelty of new functions encountered, such as the trigonometric functions, and two, because this class draws heavily upon properties of functions studied in algebra, which may have been forgotten. As a pre-calculus tutor, my goal is to remind students of these properties, where applicable, and to help ease the transition into trigonometry by breaking down the various aspects of the trigonometric functions into those that must simply be memorized, and those that are interrelated. I will also help them minimize the amount of rote memorization required by exploiting the interconnections between many of the topics covered. Differential Equations is truly one of my favorite subjects to tutor. Although I enjoy tutoring a wide range of math classes, I was never really excited about math until I enrolled in this class. While at UT-Austin, I made A's in Differential Equations, Vector Calculus, Real Analysis, and Vector and Tensor Analysis. I also made A's in the physics classes that required the techniques taught within them: Wave Motion and Optics, Classical Dynamics, Classical Electrodynamics, and Kinematic Astronomy. One caveat: many DE classes now include MatLab exercises. I am not familiar with MatLab. As an introduction to counting methods (combinatorics) and proofs, Discrete Math is one of the first proofs courses I took at UT-Austin. I made an A in the class as well as in many other related upper division math classes, including Linear Algebra, Probability, Real Analysis and Topology. Although I have seen variability in the difficulty of this class, based on the aims of the different teachers teaching them, I have yet to need to turn anyone away and feel very comfortable with the material. Finite math is a survey of several topics in math from arithmetic to precalculus, as well as an introduction to various math disciplines not covered in the core curriculum. My study of math spans most, if not all, of the topics covered in this class, and also shows that I can quickly adapt to any unfamiliar topics covered at these levels. While working at Austin Community College, I also had direct experience working with students taking Finite Math. Linear algebra is both a computational and a proofs course. However, different instructors will often focus on different aspects of the course, so there is a fair amount of variability among individual courses. As a math major, I have studied a wide range of mathematics and am well-suited for tutoring linear algebra, but proofs cannot always be quickly generated on the fly. When possible, I ask students to let me spend a day or so on the material before our session, in order that the session itself may go more smoothly. For much of the simpler material, such as matrix or vector operations, being able to brainstorm on the material beforehand may not be of much importance, but it doesn't hurt. As a math major, I made A's in several proof courses, including intro to real analysis, and real analysis. I studied probability as part of my degree plan at UT, and use it extensively in statistics as well. The study of probability is largely about 1. counting methods, often studied in discrete math classes, and 2. learning the various types of distributions commonly used in modeling data: exponential, normal, gamma, uniform, etc,, including the important aspects of each type of distribution, such as mean, standard deviation, memorylessness, etc. Often sophisticated calculus techniques are required as well. As a graduate in math from UT, I am well-acquainted with these aspects of the class. Trigonometry is a class where most students will start to have some issues, even if they have been doing very well in earlier math classes. I suspect this is for two main reasons: one is the novelty of new functions encountered and, two, because this class draws heavily upon properties of functions studied in algebra, but which may have been forgotten or underappreciated. As a trigonometry tutor, my goal is to remind students of these properties, where applicable, and to help ease the transition into trigonometry by breaking down the various aspects of the trigonometric functions into those that must simply be memorized, and those that are interrelated. I will also help them minimize the amount of rote memorization required by exploiting the interconnections between many of the topics covered. Both of my kids have been tutored by John for Alg 2 and look forward to their sessions. He provides positive feedback and gentle reminders. They aren't afraid to ask questions or try to solve a problem even if they aren't sure of themselves. Great teacher! John was able to schedule my daughter with only a few days notice. She left the lesson with better understanding and firmer grasp of concepts. He also gave her advice on how to better approach exams. She looks forward to continued tutorials with him! Our daughter is struggling with HS chem. After the first session with John she got in the car and said “well I’m finally beginning to understand chemistry”, She just finished her second session and is feeling so much better about her upcoming midterm. We will continue to have our daughter work with John. He explains so well with my son about AP Chemistry. He was not doing well at the beginning once John guides him along the way and he feels more confidence with a smile before test/ quiz/ homework. Also, he communicates with parents what he teaches during tutoring session. We never see a tutor liked him. Bravo! My son had his first high school tutoring session on AP Pre-Calculus and Physics, and was impressed enough to request regular sessions. John was responsive, flexible, patient and has already made a difference in my son’s confidence. Thank you, John! Very thorough in explaining of concepts and helping wade through what the questions were actually looking for. Will probably use again, only problem is that he's pretty far away from where I live. Otherwise, I would probably meet weekly. He's that good. Helped with SAT 2 Math level 2. Will use again. Very helpful. John is able to teach advanced math and even emailed some extra sheets with review problems. He went above and beyond and explained the problems clearly. My daughter is getting caught up quickly thanks to John! He’s been really great to work with. Looking forward to more sessions. We went to John before school even started to help my son get a leg up on his coming year. John was already ready with a jump start lesson and resources. My son really liked his teaching style.